As a competitive runner I spend a great deal of time and money trying to relieve the effects of training stress on my body. Hard running and strength training continually break down your muscles and create toxic byproducts being released into your bloodstream stressing your organs and immune system. Although being active is perceived generally as a good thing, the repercussions of high level training year-round can leave your body burnt out and fitness advances fewer and far between. My biggest training asset in avoiding sickness, injury and burnout is eating a diet that naturally decreases oxidative stress on my body so it can heal itself quickly and perform optimally. 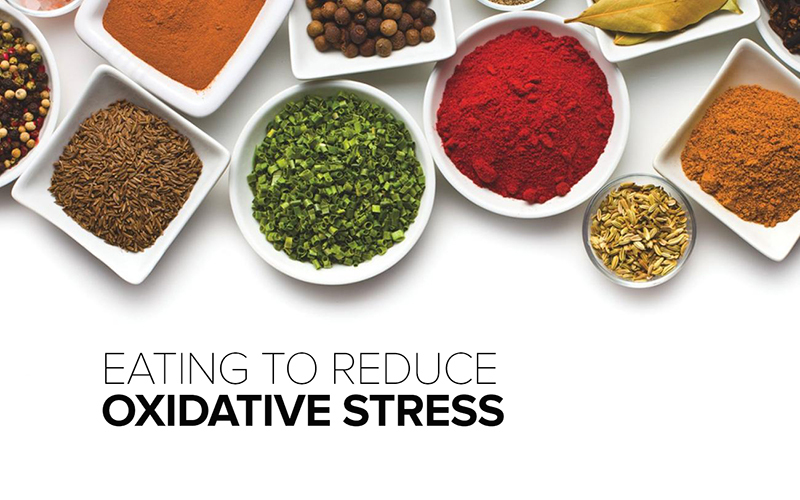 Oxidative stress is defined as an imbalance between the production of free radicals and the ability of the body to counteract or detoxify their harmful effects through neutralization in the form of antioxidants. Antioxidants are the health and beauty industries’ hero, selling billions of dollars worth of supplements, products and foods all claiming to hold the fountain of youth. Sadly we’ve bought-in, never questioning what a free radical even is, where it comes from and if the products we are consuming even have significant enough levels of antioxidants to combat them. So let’s break it down – most of us have observed the effects of oxidation in our day to day lives regularly. If you’ve ever thrown out a browning apple or fixed a rusty pipe you’ve seen the destructive effects of oxidation when there’s nothing counteracting it. In our bodies on a daily basis we are oxidizing carbohydrates (glucose) and converting them to carbon dioxide and water to make energy for our muscles and brains to run on. This process can get messy along the way when the types of foods we consume don’t naturally come equipped to detox our systems during oxidation. The result is a body full of free radicals. 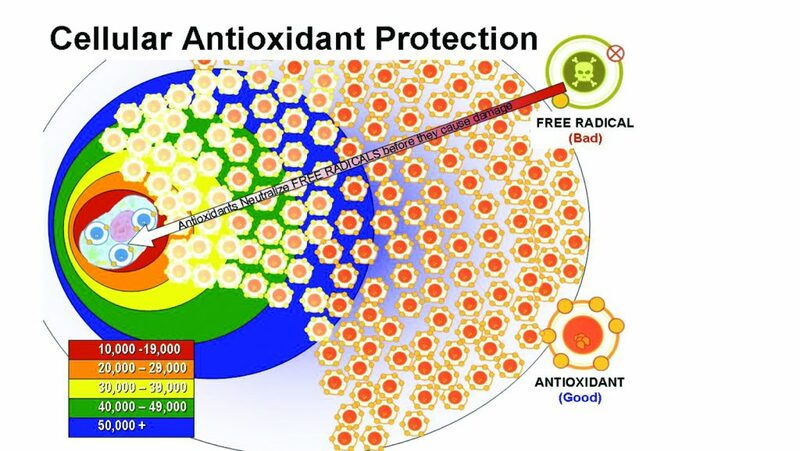 A body overloaded with free radicals isn’t a happy place. A pro-oxidative environment not only adds additional stress to your body when it’s try to heal from workouts, but also over time promotes a host of other ailments from aging skin, chronic inflammation, and kidney disease. That’s only naming a few. The graphic below demonstrates how virtually every anatomical function is depressed when free radicals rein supreme. The relationship between oxidation and free radicals is like a scale. You need to be taking in an equally proportionate amount to counteract normal everyday oxidative process. Unfortunately, much of our modern day processed diet lends itself to high free radical production. For instance, studies have shown drinking and eating processed sugar (glucose in its most refined form) like a soda sends free radical production skyrocketing up. Why would our most basic and most easily utilized form of fuel cause such an negative reaction in our bodies? It’s because our bodies for thousands of years were used to receiving their glucose in a plant based form, prepackaged nicely with the needed antioxidants to combat the free radical byproducts of them being broken down. Any food that is not plant based and in it’s most basic and whole form will not be “packaged” optimally for you to safely oxidize without adverse effects along the way. 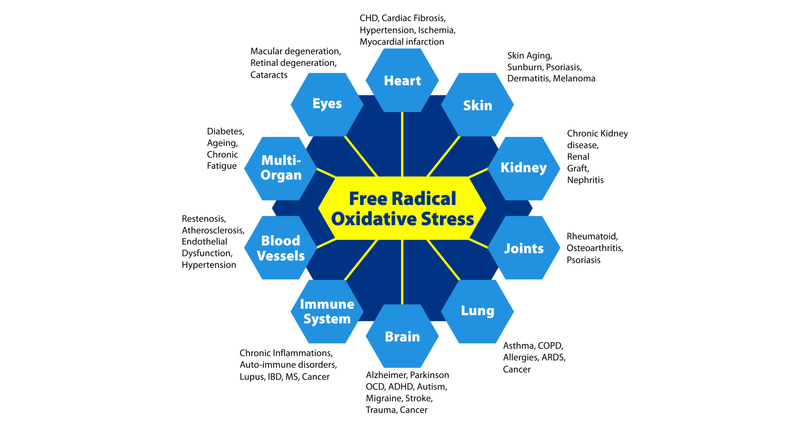 The bad news is that cancels out most of the grocery store but the good news is you can start reversing the oxidative stress you’ve put on your body rapidly with simple diet changes. Your body is actually capable of building up a surplus of antioxidants to keep on reserve in order to prevent you from ever entering a pro-oxidative state. A few all-star players of the antioxidant world can probably be found right now in your pantry. Spices actually pack a powerfully potent punch with levels far outweighing their more glorified antioxidant cohorts, berries. Just a teaspoon of cinnamon on your oatmeal can increase the antioxidant level of your meal by nearly 10 times. Dark leafy and deeply colored veggies like beets and purple cabbage come in as a close second and should be made a staple in everyone’s diets. A couple helpful rules of thumb for spotting high antioxidant foods: the darker the better and if you cut it open and it doesn’t turn brown you’re good to go. On a closing note, antioxidant supplements have been found not to be nearly as effective as consuming actual whole plant foods and rank poorly when going up against just about any spice or vegetable by volume. So next time you’re reaching for that pomegranate juice consider the oxidative effects it will have on you without its seeds and fiber, then head back to the fruit section.